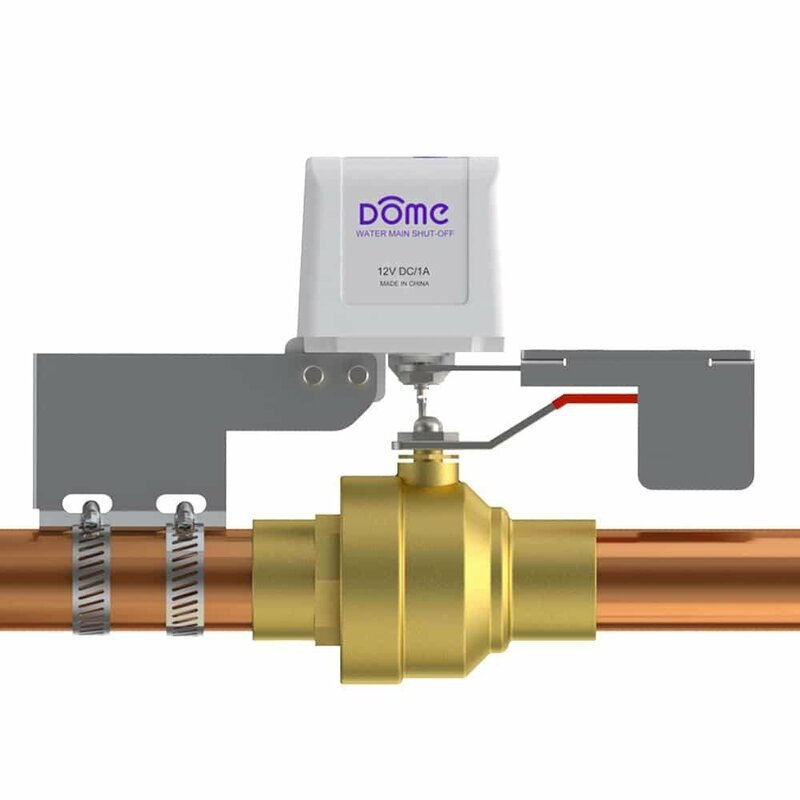 The Dome Home Automation Water Shut-Off Valve allows you to remotely turn ON/OFF a water valve using Z-Wave. You can use it to automate your water boiler, irrigation system, radiant heat system or anything else that uses a quarter-turn ball valve. Mounting Options | Quarter-Turn Valves from 1/2" to 1-1/2"